I just want to put this up front so there’s no confusion – I am not a medical professional, dietitian or nutritionist. I’m a Personal Chef who is employed by individuals to prepare meals for themselves, friends &/or family members. Lately, I’ve been asked to prepare meals for more and more seriously ill, chemo and cancer patients. Things become even more complicated when you have to come up with a menu for someone requiring multiple dietary restrictions. Such as: High Blood Pressure (Sodium Restrictions), High cholesterol (Low fat) Diabetes (low carbohydrate) Constipation due to pain medication (High Fiber) and Chemotherapy (Bland diet due to nausea)… The list can go on & on. To complicate things even more, clients currently taking chemotherapy treatments can have a good appetite with no restrictions one day and be extremely nauseous and suffering from mouth sores, making it difficult to swallow the next. If you or a loved-one has a medical condition that requires dietary restrictions, please, if your doctor has not already done so, ask to be referred to a Registered Dietitian. They are your best source for nutritional information. They can guide you to trusted web sites for everything from menu suggestions to recipes that are appropriate for your condition. When I started my Personal Chef business, I knew I’d have clients on restricted diets. From working as a Pharmacy Technician, I knew the most prevalent health concerns, which can be controlled with diet are high blood pressure, high cholesterol and diabetes. I scheduled an appointment with a Registered Dietitian to discuss how diet can affect “The Big 3” and how to accurately count calories, carbohydrates and fats in the foods I prepared. Next, I searched out recipes that not only tasted good but were good for you. Whatever your reason for needing a restricted diet, the best thing you can do is broaden your taste in food. Honestly, I went from not eating vegetable soup at all to getting second helpings of soups such as Garden Vegetable & Tuscan Chicken. I thought I didn’t like fish prepared anyway but fried. I now have baked, roasted and grilled seafood every week. I swore I didn’t like meat cooked with fruit. Pineapple Chicken and Key West Shrimp with Lime quickly became two of my favorite dishes. Before, I never served broccoli or cauliflower unless it was swimming in cheese sauce. Spinach and other greens had to be cooked to death with a large glop of bacon grease. Quinoa? That stuff looked like bird food not people food. All are now on a weekly rotation. You see, I learned it wasn’t the food I disliked – It was the way it was prepared. I don’t serve anything to my clients I’ve not sampled in my own home. For this reason, I’m constantly trying out new recipes which are low in fat, calories and carbs. Needless to say I’ve lost a LOT of weight while eating very, very well! A recent check-up at my doctor also showed that in less than 7-weeks I lowered my A1C (blood sugar) a full point. I’m not diabetic but Type 2 does run in my family so lowering my levels now is a good thing. *My cholesterol levels were not so bad as to require medication, but they did need some improvement. I credit my 33lb weight loss and change in blood sugar/cholesterol levels to healthier, cleaner eating. Let me stress, I am NOT on a diet. I’m not following any sort of commercial diet plan that tells me what I can and cannot eat or when to eat it. I am cooking healthier meals with fewer carbs, less fat, and practically no processed foods. About the only thing we eat that isn’t fresh, made from scratch, is cheese, Greek yogurt and some commercially prepared breadcrumbs now and then. Bottom line – If you want to improve your health, lose weight and feel better, ditch the processed foods and expand your menu to include more fresh fruits and vegetables, less red meat. Cut out Canola, vegetable and other highly processed oils in exchange for pure olive, peanut and tree-nut oils. 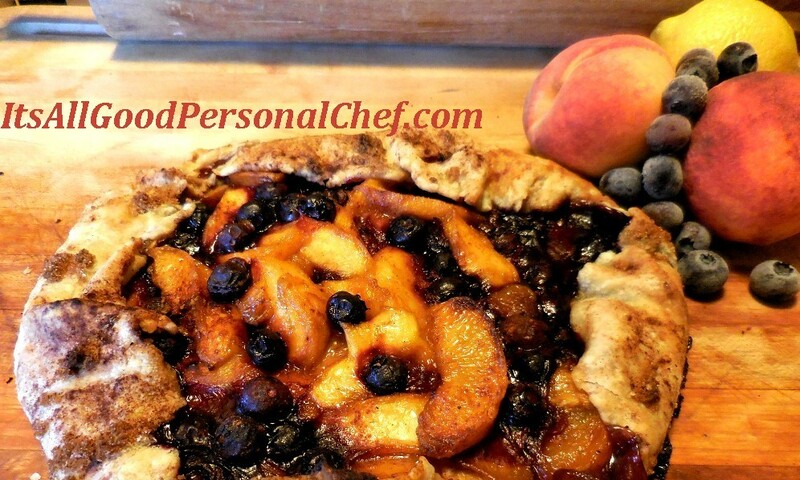 I’ve had so many requests for my Rustic Peach & Blueberry Crostata, I decided it was much easier to post it here instead of emailing everyone. A crostata is a free-form version of an open tart. Traditionally, it is oven baked on a low rimmed baking sheet with the folded up edges of the crust forming the sides. However, there is no hard rule that says you cannot bake this in a pie pan or open skillet; especially if you’re afraid of having burnt juice all over the floor of your oven. Long many years ago, before we had air conditioning, I baked these in a large cast iron skillet on my *Summer Kitchen a large covered BBQ grill. PLEASE NOTE: All measurements for this recipe are approximant as the tartness of the berries and ripeness of the peaches will determine the amount of flavorings needed. Roll pie crust flat on a lightly floured surface. 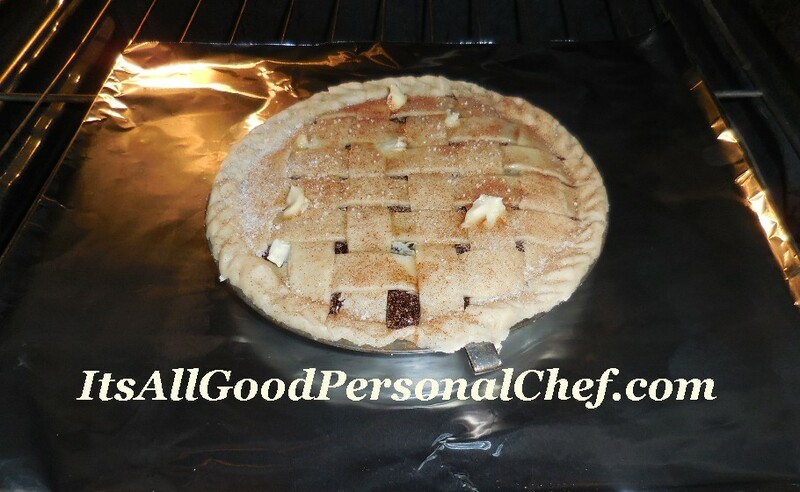 Transfer to baking sheet, pie pan or large, ovenproof skillet. Blend ¼ cup brown sugar, ¼ teaspoon cinnamon, cornstarch, vanilla extract, rum and lemon juice. Toss with fruit. With a slotted spoon, mound fruit into center of crust and gently fold edges of crust towards center, pinching shut folds and creating a 1”-2” tall edge around the crosatta. Carefully pour any juice created over fruit. Brush crust with egg wash then sprinkle lightly with remaining brown sugar and cinnamon. Bake at 400 degrees until golden brown :45-:60 minutes. Allow to stand at least :30 for filling to set before serving. *A traditional summer kitchen was a covered cooking area or shed, containing a hearth or cook stove and work area apart from the dwelling. This served to keep the heat from cooking out of the family home. Few things bring back memories of my childhood summers like picking wild blackberries. If you’ve never tasted wild blackberries, you’re missing out on one of God’s finest gifts. In my area, the only ways to get wild blackberries is to pick them along side country roads, fence rows and scattered patches or purchase them from a Farm Stand. If you’re very, very lucky, you may find a few pints at the local Farmer’s Market. Fortunately, we have several patches of wild berries on our property so I’ll be out picking every morning as long as there are berries to pick. A some will be set aside for pie making. The rest will be cooked down into puree and juice then frozen to make jam and jelly come winter time. I’ve never gone by a recipe when making pies. I’ve always just added sugar to whatever amount of berries I had, stirred in what looked like enough cornstarch and other ingredients then dug through my cabinet to find a pie pan that looked like it was large/small enough to hold the amount of filling I had. I never even thought about the amount of anything until I started considering writing down the recipe for a friend. As I made my last pie I measured all of the ingredients and took plenty of pictures so she could duplicate my pies. Here’s what I came up with for a 9” pie. 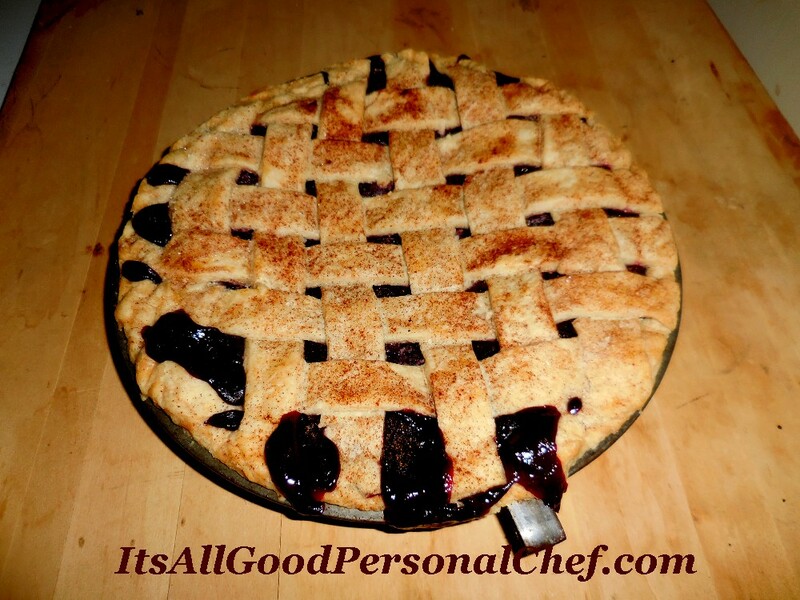 Seedless berry pies aren’t just for folks who don’t like getting those tiny boulders stuck in their teeth. 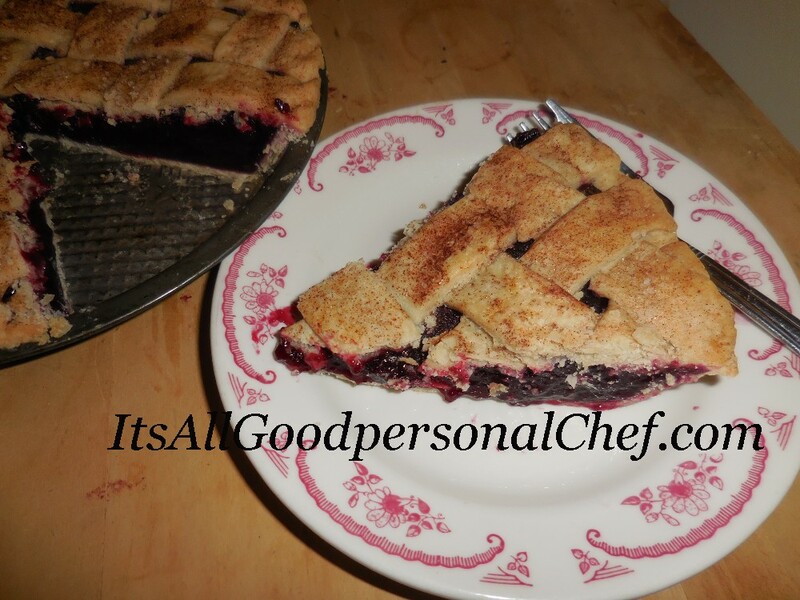 Making a pie with seedless pulp is the only way some people, with digestive issues, can enjoy eating black berry, blueberry and strawberry pies. My wild blackberries have such a strong, tart flavor, I often mix them 50/50 with fresh picked blueberries to cut down on the amount of sugar needed. If you’re using commercially grown berries, the addition of blueberries may make your filling so sweet you’ll need to add lemon juice to balance the flavor. 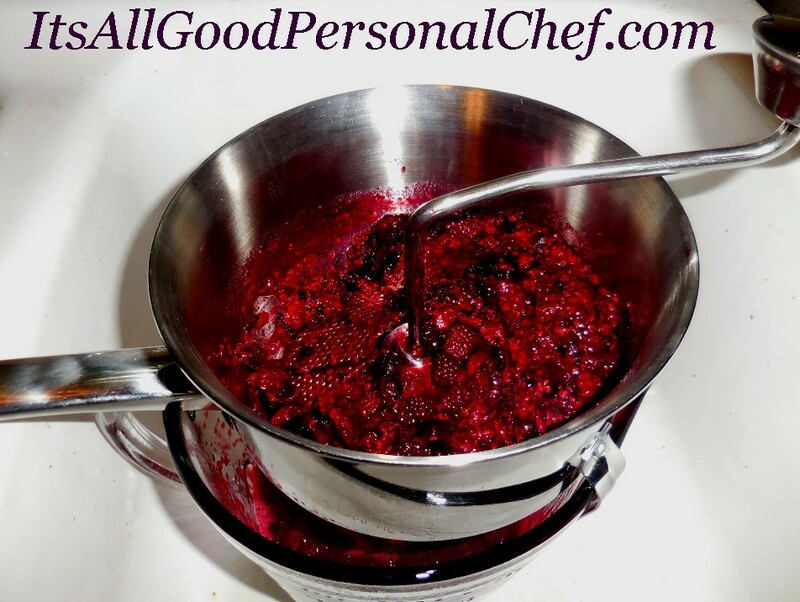 Start by making a seedless berry puree by slowly heating berries to a boil in a heavy bottom sauce pan or open Dutch Oven. Once berries start to boil, turn off heat and cover for :15-:20 minutes. You can separate the seeds from the pulp several ways. 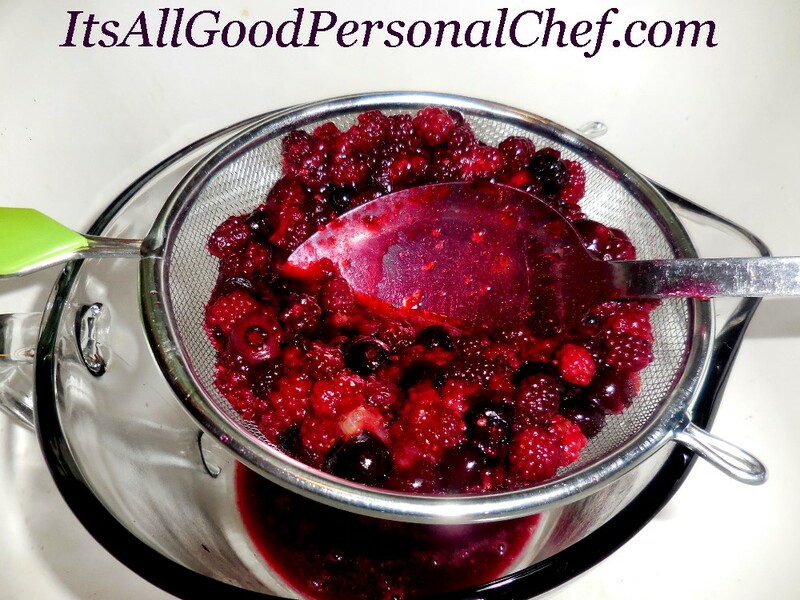 Pour 1 cup of cooked berries into a fine mesh sieve. Press pulp through the holes with the back of a large spoon. Once you’ve pressed through all of the pulp you can, dump the seeds and repeat with another cup of berries. Continue until all berries have been processed. A food mill does an excellent job of turning a pile of fruit or vegetables into seedless, skinless pulp. It’s a bit labor intensive but the results are well worth it. My favorite method of removing tiny seeds is my handy-dandy Sauce Master Food Strainer. 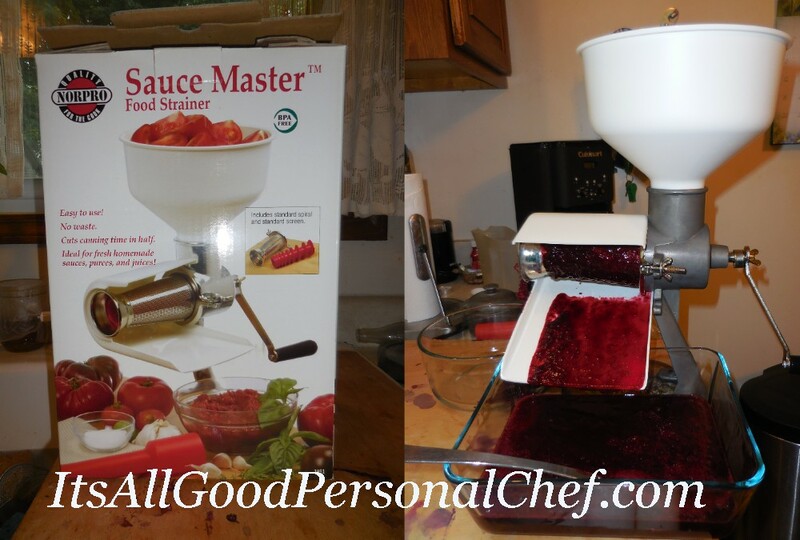 You can add nearly a gallon of fruit or vegetables into the hopper and with a few cranks of the handle you have beautiful pureed produce. It works as well with tomatoes and pumpkin as it does small berries. 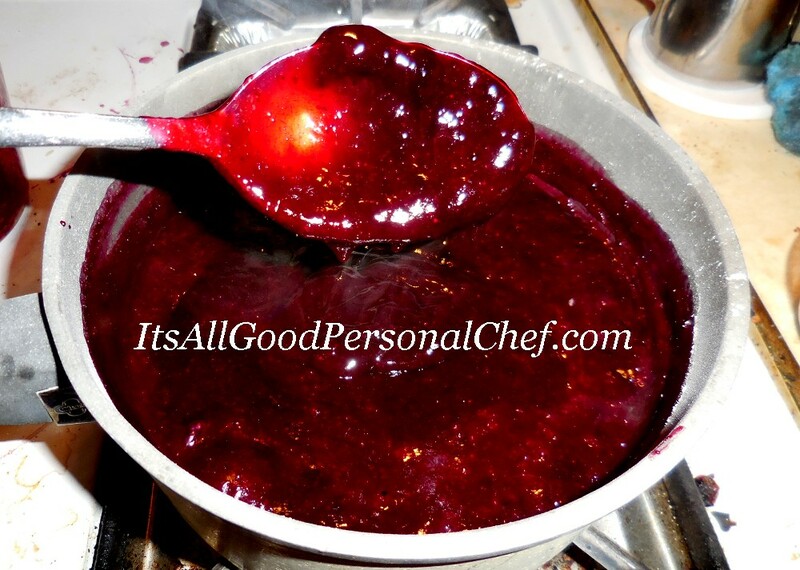 Place washed and sorted berries or berry puree in a heavy bottom two quart sauce pan. Stir in sugar, cornstarch, cinnamon, 1 tablespoon butter & salt. Slowly bring to a boil, stirring occasionally to prevent sticking. Once the juice has thickened, pour hot mixture into pastry lined 9” pie pan. Trim away any pastry dough that extends beyond edge. 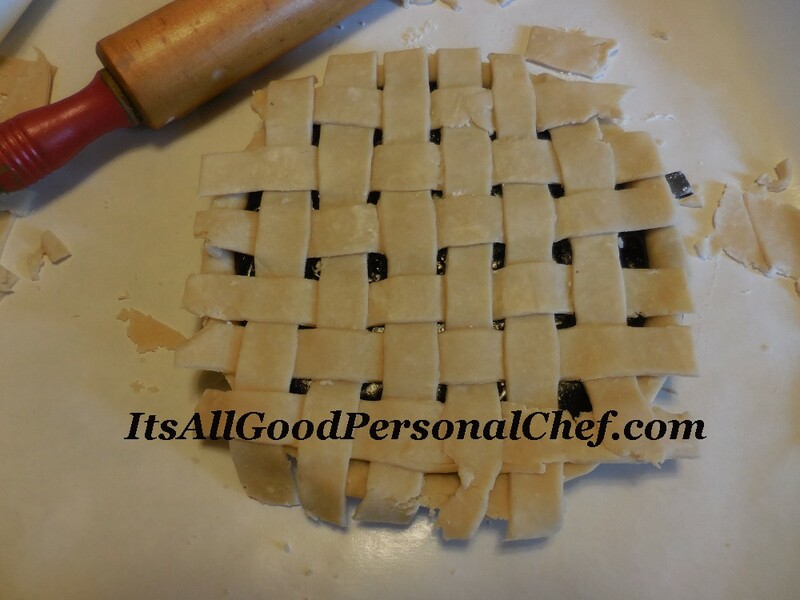 Top with second full crust or lattice crust. Crimp edges together and dot with remaining butter. Sprinkled top crust with a little sugar and cinnamon. Bake at 350o for :30 minutes or until golden brown. If you’re new to baking fresh fruit pies, it’s important to know every batch differs slightly in sweetness. Start with the lesser amount of sugar and gradually add more as needed. One way you can reduce the amount of sugar used with very tart berries is to include some sweeter fruit such as blueberries, sweet apples or apple sauce in your filling. 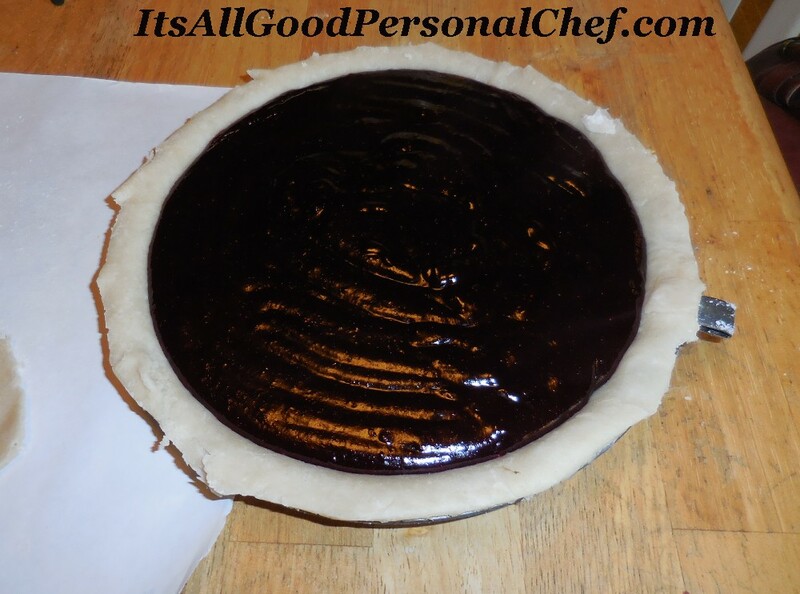 If the filling is not tart enough, add a little lemon juice or apple cider vinegar. 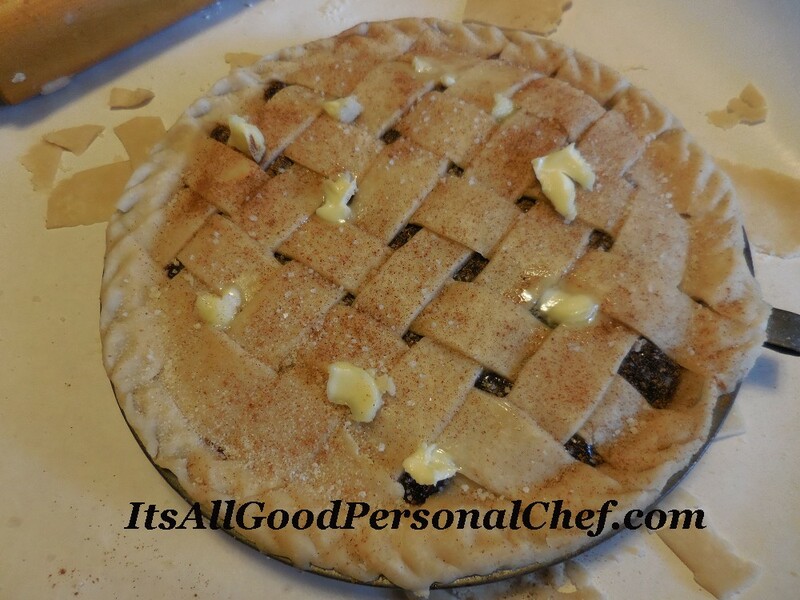 I like to top my double crust fruit pies with a lattice crust. Not only are they prettier than a full crust, they do a better job of allowing steam to escape lessening the chance of a boil over in your oven. My husband and I dearly love a cold, crispy salad for lunch on a hot summer’s day. What we don’t love is the restaurant prices and time it takes to go out for lunch. In my area, a “nice” Market Style salad with fruit and grilled chicken breast at a Fast-Food place will run you anywhere from $6.49 – $8.49. Of course you’re going to want something to drink with that so add another $2.00 to the tab. That’s at least $8.50-10.50 for a salad and drink, people! If you’re like most people, you only get: 30 – 1:00 for lunch. By the time you leave the office and walked to your car you’ve already used up :05 – :10. Add to that the time it takes to fight traffic, stand in line, have your meal delivered and drive back to the office. If you’re really lucky you won’t be noticed walking in late. 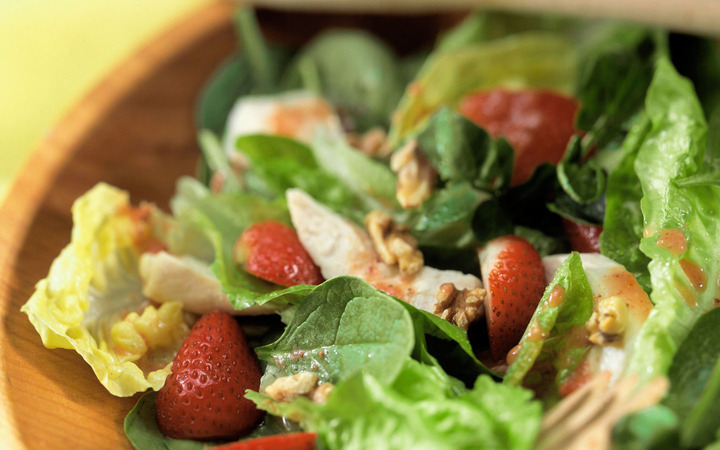 Most of us already have a bag of mixed lettuce salad, fresh fruit and our favorite salad dressing in the fridge. Why not pack your own salad and save the time spent driving and standing in line doing something relaxing like feeding the ducks at the park, relaxing with your favorite book or scrolling facebook ;). The typical answer I hear is, “I don’t have time, in the morning, to pack a lunch.” Okay. I understand that. But why do you think you have to pack your lunch in the morning? For us, it’s much easier to pack our lunches the night before. This is especially true if we’re taking leftovers from that evening’s dinner or preparing a crispy salad. My favorite salad is a combination of baby mixed greens, seasonal fruit with some chopped meat and cheese. 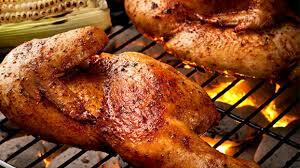 Cold, leftover grilled chicken or crispy bacon is my first choice but any cooked meat you have in the fridge will do. Same goes with the cheese. I love the contrast of tangy feta with the sweet fruit but you can use whatever shredded or crumbled cheese you have on hand. 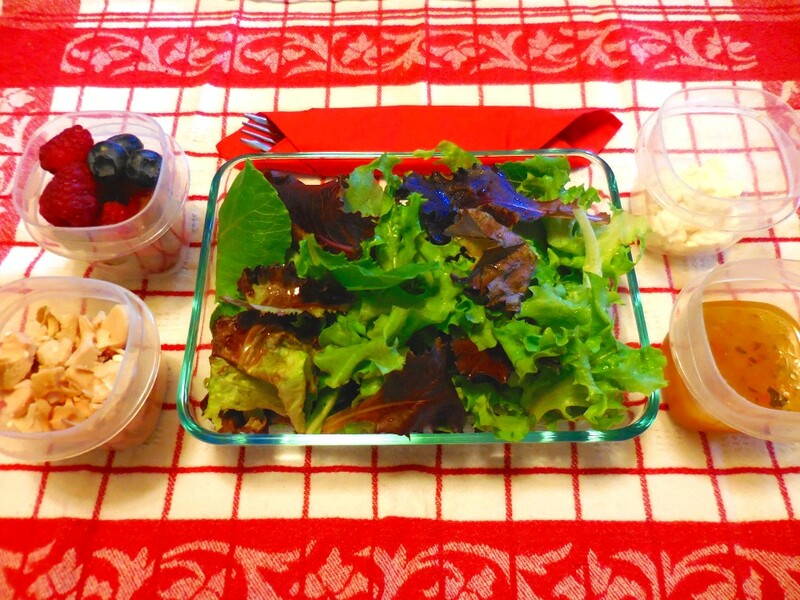 I like to pack my salad ingredients, separately, in small containers and combine them when I’m ready for lunch. This prevents the meat and cheese from drawing moisture from the lettuce and the fruit will remain crisp. You may wish to toss your diced apple or sliced ripe pears with a little Fruit-Fresh or lemon juice mixed with water prior to storing in the refrigerator. The acid prevents the cut fruit from oxidizing (turning brown). Around 30 years ago, The Evansville Courier & Press held a Holiday recipe contest. The grand prize was a $500 gift certificate from a local grocery and a $100 gift certificate for a local jewelry store. Being a young mother with a growing family I was more excited over the prospect of winning free the free groceries at Christmas time. – Keep in mind, my weekly 1980s grocery budget ran around $50 a week. I went through all of my recipes and decided to enter my Super Rich Pound Cake recipe. Traditional Pound Cake uses 1lb of butter. My version uses ½ butter & ½ cream cheese. 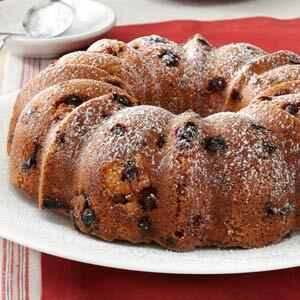 I dressed it up for Christmas with beautiful red cranberries and topped it with a sprinkling of powdered sugar snow. Although the recipe was simple, the combination of sweet, dense cake with the tartness of the berries was a hit. I didn’t win the grand Prize but I did place 1st in the dessert category and took home $100 worth of groceries from Wesselman’s grocery and a $50 Rogers Jewelers gift certificate. This simple but delicious cake became one of my Dad’s favorites and is his traditional “Father’s Day Cake”. Because Father’s Day falls around the same time my blueberry bushes are starting to produce I often substitute blueberries for the cranberries. The 4th of July is the perfect time to use 50/50 mix of blueberries & cranberries for a patriotic red, white & blue cake. 1. In a bowl, beat cream cheese, butter, sugar and vanilla until smooth. Add eggs, one at a time, mixing well after each addition. 2. Sift together 2 cups flour, baking powder and salt; gradually add to butter mixture. Toss remaining flour with berries of your choice and nuts; fold into batter. Batter will be very thick. Spoon into prepared 10-in. fluted tube pan. 3. Bake at 350° for 65-70 minutes or until cake tests done. Let stand 5 minutes before removing from the pan. Cool on a wire rack. Before serving, arrange fresh or dried fruit on top and around the bottom. Dust top with confectioners’ sugar. The next time you have a cook-out, toss a few extra pieces of chicken on the grill. 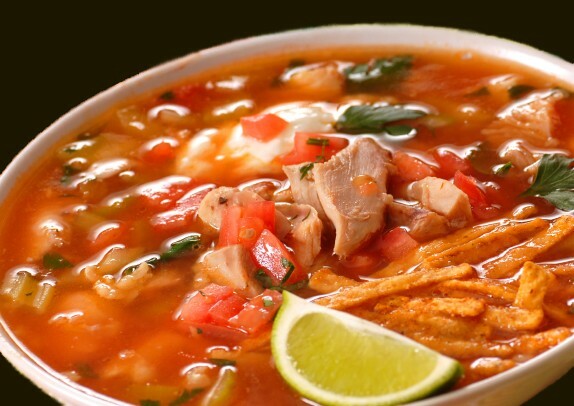 While you’re at it, add an ear of corn and a big poblano pepper as well to have the ingredients ready for this delicious soup. You don’t have to use grilled chicken or freshly fire roasted corn and poblano peppers in this recipe. Stewed chicken or a rotisserie chicken from the supermarket works fine too. If you don’t have access to a grill you can use frozen corn and buy-in-a-jar roasted peppers or prepare them on your gas range. Garnish with shredded cheddar cheese and tortilla chips if you desire. 3. Add the chicken broth. Stir in the tomatoes, tomato sauce, salsa, zucchini, chopped peppers, cumin, and basil. Bring to a boil. Reduce heat; cover and simmer for 20-25 minutes or until vegetables are tender. 3. Garnish with shredded cheese, our cream, chopped cilantro or tortilla chips if desired. Soup may be frozen for up to 3 months. Yield: 10 servings (3-3/4 quarts). Don’t quite have 2-cups of leftover chicken for your soup? Add a can of black beans that have been rinsed and drained or a handful of lintels. You’ll be able to keep the protein level up and add healthy fiber. A can of hominy may be substituted for corn in the recipe. Out of tomato sauce? Use tomato juice in place of some of the broth. No canned tomatoes with chilies in the house? Any type of canned or fresh tomatoes and a fresh chili pepper (ribs and seeds removed) will work just as well. In a pinch, a good quality chili powder mix can be used in place of cumin. Who doesn’t like a nice, smoky chicken breast or juicy thigh hot off the grill? But, what do you do with leftovers besides drench it in barbeque sauce? Even good cooks can have trouble looking beyond the original dish to transform it into something new and flavorful. Here are a few of my favorite dishes using leftover grilled chicken. I should note; none of the original recipes called for grilled chicken. However, substituting it here not only adds an additional level of flavor, it cuts down on your prep time because you don’t have to spend time cooking the most time consuming ingredient. Tuscan Chicken Soup – Change up your usual chicken soup recipe by adding grilled chicken and fresh escarole or spinach and white beans. Loaded with healthy vegetables and low in cholesterol, this flavorful soup is perfect for those on a low carb or low fat diet. 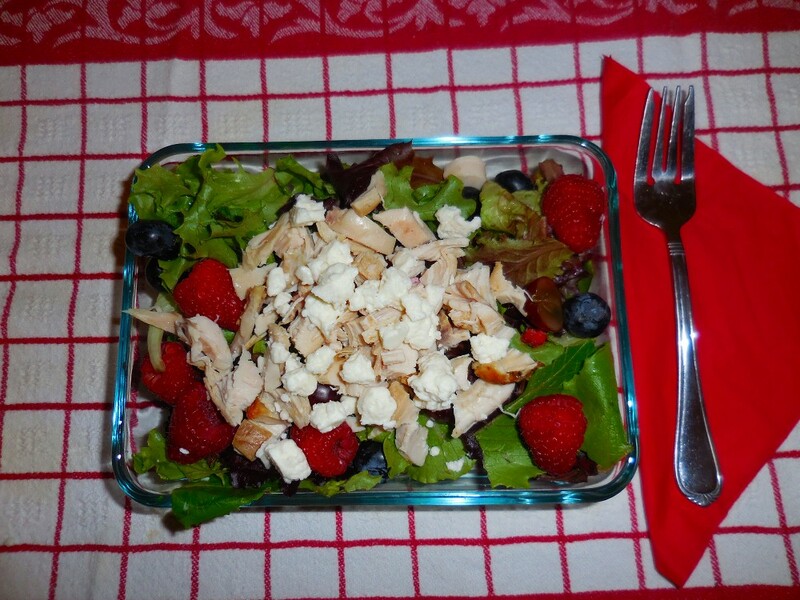 Fruited Chicken Salad – Crispy, crunchy & oh so creamy! The addition of red apples, seedless grapes and your choice of pecans or walnuts makes this sour cream based chicken a hit with adults and kids alike. Bruschetta Chicken – Satisfy your taste buds without breaking the bank or your diet. Chicken & Broccoli Fettuccini with Skinny Alfredo – Feel free to indulge with a low fat version of this family favorite. Grilled chicken is such a healthy and versatile ingredient, there’s no reason not to cook extra the next time you fire up the grill. The additional portions can be refrigerated up to 3-days or frozen for use later. Here’s my favorite Tuscan Chicken Soup recipe. Feel free to add or substitute ingredients to suite your family’s taste. In a large saucepan, sauté onion, celery and carrot in oil until tender. Stir in minced garlic and cook an additional 1-2 minutes. Add broth and spices and bring to a boil. Reduce heat; cover and simmer for 15 minutes or until pasta and vegetables are tender, stirring occasionally. Add escarole (or spinach) and chicken; heat through. Yield: 6 servings. Whatever the job, if you do it often enough, you’ll eventually find and easier, cheaper &/or more efficient way to do it. 40+ years in the kitchen has taught me not to simply toss a plastic bread clip or waste precious time chopping bell peppers, onions, etc every time I need a small amount. Below you’ll find 10 of my most used kitchen hacks. Plastic bread tags work great to scrape hardened bits out of a pan. Trying to fill a zippered freezer bag with liquid, by yourself, can be a trick. Place the opened bag into a pitcher or large measuring cup. Fold down the top of the bag like a collar to help hold the bag in place. Fill the bag, seal it and place pitcher and all in the freezer until partially frozen. If it’s a liquid such as broth that I want to remove the fat, it’s much easier to do once the liquid is thoroughly chilled. Use an 8 oz tomato sauce can for biscuit cutter. In the mood for homemade biscuits or sugar cookies and can’t find a cookie/biscuit cutter? Don’t worry; your pantry is full of them. My favorite biscuit cutter is an empty, 8 ounce tomato sauce can with both ends removed. Keep dough from sticking to your hands, rolling pin, knife or cutter by first dipping them into flour. If after some use the dough starts to stick, clean it off with a dry towel and dust with flour again. In the case of dough buildup on your hands, dip them in flour and quickly rub them together. This will remove all traces of dough. Simply dip them into flour once more and you’re ready to go again. Partially freeze meat to slice thin for fajita or stir-fry. Be sure to work quickly so the warmth from your hands doesn’t thaw the meat. Are those eggs in the refrigerator still good? To find out, place an egg in a large bowl filled with at least 4” of water. If it sinks to the bottom and lays flat, it is very fresh (1-3 days old). If it rests at a 45, The egg is still considered fresh (about 1-week old) and is good to eat. If the egg stands straight up on end but is still touching the bottom of the bowl, it is becoming stale however, it is still safe to eat. (14-21 days old)If the egg is standing straight up and floating off the bottom of the bowl it is more than 3 weeks old and no longer safe to eat. it’s important to know the approximate age of an egg for reasons other than if it’s safe to eat. The opposite is true for making meringue. The eggs need to be as fresh as possible and cold to produce meringue that stands high and doesn’t start to flatten in a few hours. Perfectly slice mushrooms using an egg slicer. To quickly produce a pile of uniformly sliced white button mushrooms, wash and remove the stems then, wet the egg slicer and place mushrooms in the center, cap side up. Wetting the slicer first will allow the thin wires to quickly slice through the cap without leaving ragged edges. Measure solid fats in water. To easily get an accurate amount of shortening, lard or other solid fat for a recipe, use a measuring cup for liquids (the kind with a pouring spout). Start by subtracting the amount of fat needed from 2-cups. For instance, if you need ¾ cup of shortening for your recipe, add 1 ¼ cup of water to the measuring cup. Now, add the shortening until the water reaches the 2-cup level. Because fat is lighter than water it will float so be sure to use your fingertip, spoon, etc to force the shortening just below the water surface. Next, pour out the water and you’ll have the exact amount of fat needed for your recipe without having to worry about large air pockets taking up space in the measuring cup. Don’t worry about this method adding water to your recipe as the water will not stick to the fat. Make your own Freeze & Bake Biscuits, brownies and cupcakes. The next time you make a batch of homemade biscuits, brownies or cupcakes, make another batch to freeze. They will keep well for up to 30-days in a zippered freezer bag. Mark the bag with the date they were frozen along with baking temperature and time. If you thaw before baking, use the same amount of time as if the dough or batter were made fresh. If baking from frozen, add an additional 3-5 minutes. Pre-prep onions and bell peppers. The next time you only need a small amount of bell peppers or onions go ahead and dice the whole thing and freeze the extra portion in a zippered freezer bag. The next time you need some, it will already be prepped for you. In fact, when I find peppers and onions on sale, I purchase far more than I need and dice them for the freezer. That way I always have some on hand and don’t have to make a special trip to the market. On my menu I offer a variety of desserts and snack cakes. Of course, they are offered as a whole loaf, cake or “batch”. While choosing her menu items, one of my single customers commented, “I’d love to have some homemade brownies but I don’t need to eat an entire pan full.” That’s when it occurred to me to offer individual “cup cake size” brownies which could be frozen, baked or unbaked. When the customer wants some chocolaty goodness, all they have to do is pop the desired number of frozen brownies into a muffin pan or set 1” apart on a baking sheet and bake at 350o for 25-30 minutes until done. Brownies are done when a toothpick, inserted close to the edge, comes out nearly clean. They finish cooking or set-up while cooling. • Fill each prepared cup with ¼ cup of batter. • Place filled muffin tins in the freezer making sure they are sitting level. 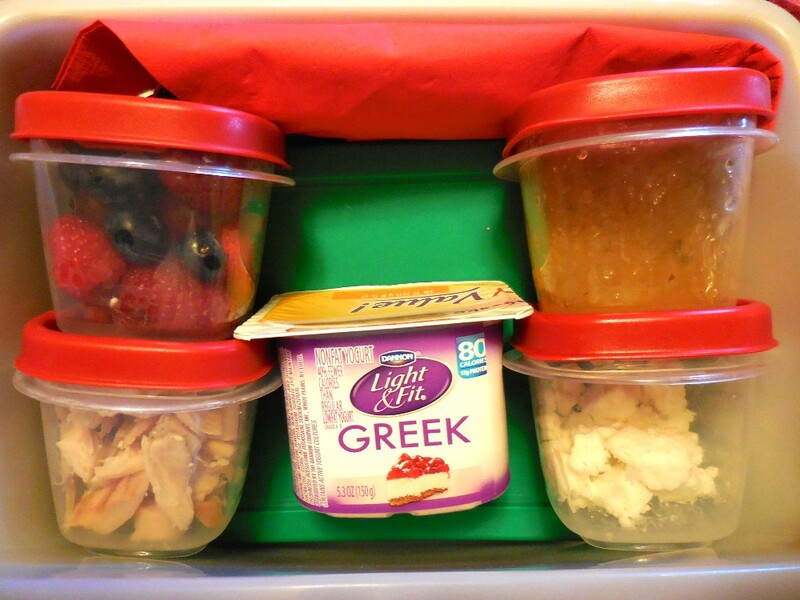 • Freeze for 2 hours before transferring to a zipper style freezer bag. 1. Heat oven to 350°F. Place paper lined foil baking cups in muffin tins and spray insides with oil/flour type baking spray. 2. Melt butter and pour into medium mixing bowl. Stir in sugar and vanilla. Add eggs, one at a time, beating well with rubber spatula after each addition. Add cocoa; beat until well blended. Add flour, baking powder and salt; beat well. Stir in nuts and chocolate chips, if desired. Pour ¼ cup of batter into each prepared paper lined muffin tin. 3. Bake 25 to 30 minutes or until done. Cool completely on wire rack. Makes 18 brownies. The secret to saving money on your food bill doesn’t start with clipping coupons or trying to stick to a budget. Whether or not you use a Personal Chef Service, it all starts with planning your meals. Pull out your calendar and look at your schedule. Do you often work late on certain nights? Do your kids have after-school activities once or twice a week? Maybe you know every Monday you have a larger work load and will be exhausted when you get home. These are the nights when you need something that’s quick to fix with little to no cleanup afterwards. A bowl of soup or a chef salad would be perfect. On nights you get home earlier or have more time to spend in the kitchen, you can serve something that takes a bit longer to prepare like a casserole or hearty stew. Even if you use a Personal Chef Service, depending on your choices, some meals take longer to heat than others or your entrée and side dishes may require different heating methods creating dirty dishes for you to deal with. Don’t allow yourself to fall into a rut, eating the same foods week after week. (See the Dec. 5, 2014 post How to Get Out of the Mealtime Rut) This goes for breakfast, lunch and snacks as well as dinner. It’s so easy to grab a box of cereal for breakfast or a package of smoked turkey and call that lunch for a week. If you’re guilty of doing this you may soon find yourself skipping breakfast all together and leaving your lunch bag in the employees lounge to go out for a burger and fries more & more often. If you are the family cook, Instead of making just enough for one meal, plan for leftovers you can freeze for later or use as an ingredient in another meal. You’ll save time in the kitchen and be able to take advantage of sale prices and “Family-size Specials”. One example would be to prepare an additional serving of Roasted Herbed Chicken Breast and use the leftovers in a delicious salad. One of my favorite planned leftovers is Beef Roast. It’s so easy to turn leftovers into Vegetable Beef Soup, a pot of Hash or an Open Face Sandwich. I always prepare far more than we can eat at one meal just so I can have leftovers to use later in the week. What about snacks? Sure, everybody gets hungry for a little junk food now & then but that doesn’t mean you eat a whole batch of cookies or visit the snack machine at work every day. Prepare a batch of homemade chocolate cookies and make your own freeze-n-bake cookies. Simply roll the dough into balls as you normally would to bake, except drop 6 at a time into zippered bags and freeze for later. That way you’re not tempted with eating too many at a time and you can have fresh, hot, homemade cookies whenever you want. Snacks don’t have to be unhealthy. Plan on celery & peanut butter as a snack a couple of days and use the rest of the celery in your salad or when making a pot of soup. Boiled eggs make a great snack and can be eaten for breakfast, cut up in a salad or turned into a side dish of deviled eggs. Eating fruit as a snack is one of the best ways to get more fiber and vitamins into your diet. Just don’t be tempted to buy a whole bunch of bananas when you know you’ll only eat them once or twice. Instead purchase small portions of several fruits so you can have a bigger variety in your diet. You won’t get burned out and it’s better for you. Besides, you won’t be tempted to make a Banana Pudding or Banana Nut Bread because they’re getting over-ripe.